This is our online store for all of our parts and accessories. We hope this will make shopping with us faster and more user-friendly. www.mytrailbuddy.com will be our information site and will have all of our bike photos, trail rides and video. This is a brand new replacement seat for the classic trail 70. This is a complete seat assembly. The seat is made from a good thick vinyl to stand up to long use. 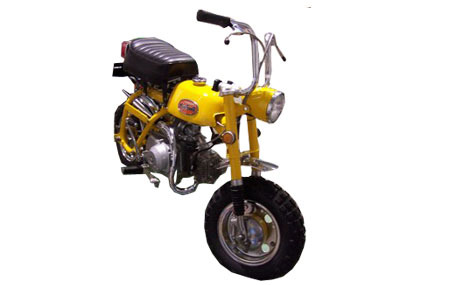 The seat will only fit the classic mini trail-70 bikes not the clone bikes! Need seat hinge. CT70 CARB 18mm-PRICE REDUCTION!!!!!!! We are liquidating this style. This is a non-returnable/non-refundable item. CT70 CARB TYPE 2, 20mm please see full website version for all specifications. 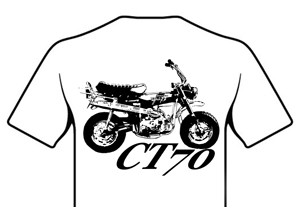 Classic CT70 T-Shirt custom designed by Trailbuddy Inc! 100% Ring Spun Cotton with a classic fit, seamless non-top stitched 7/8" collar,taped neck & shoulders, tear away label, 7/8" double needle sleeve and bottom hems and 1/4 turned to eliminate crease. Conversion aftermarket engine connection sub harness with electric start option This sub harness is fused to protect your original wiring system and designed to use with your original OEM Harness and Ignition only. See full web vserion for more fitment. Are you looking for the best flowing exhaust system for your trail 70 but want the stock look? 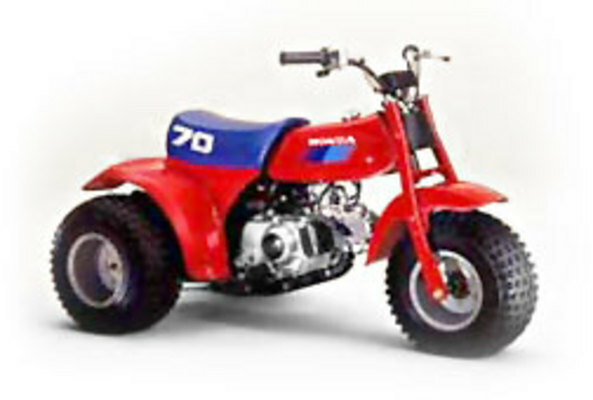 This is an advanced design by Trail Buddy Inc. for the classic mini trail-70 and reproduction bikes. Please see full web description for more technical info. 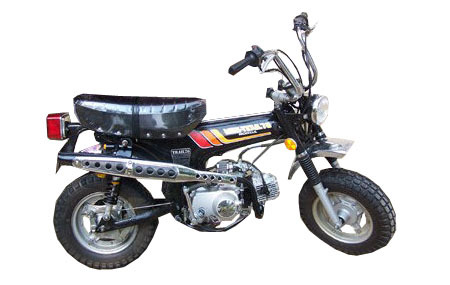 70 cc semi automatic kids dirt bike 40 mph top speed Comes with an extra parts box and title More details to come! This is a new stand designed and built by Trail Buddy Inc. in the USA. TB needed something better to hold the frame, engine and bike for rebuild and assembly. See the full website for description.